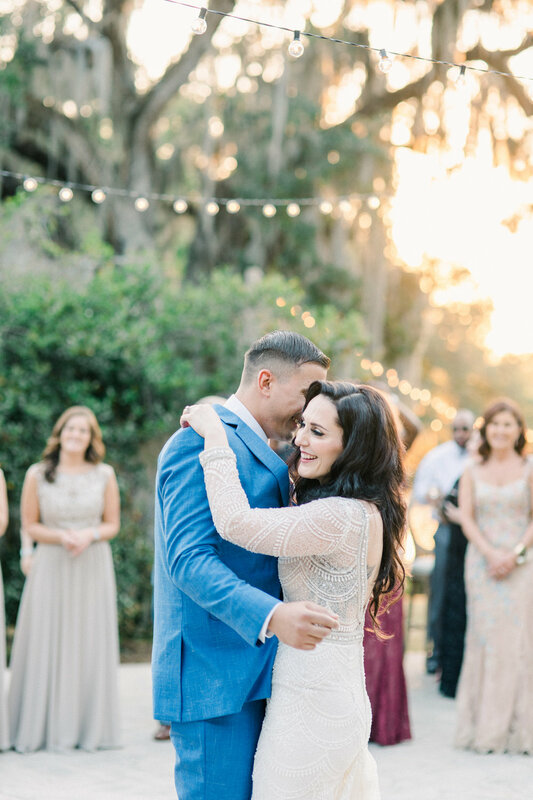 Rebecca + Aaron said their “I Do’s” under the majestic avenue of oaks at Legare Waring House followed by dinner al fresco. The bride looked gorgeous in her sparkling Berta dress which complimented the grooms blue tux perfectly for their May wedding. 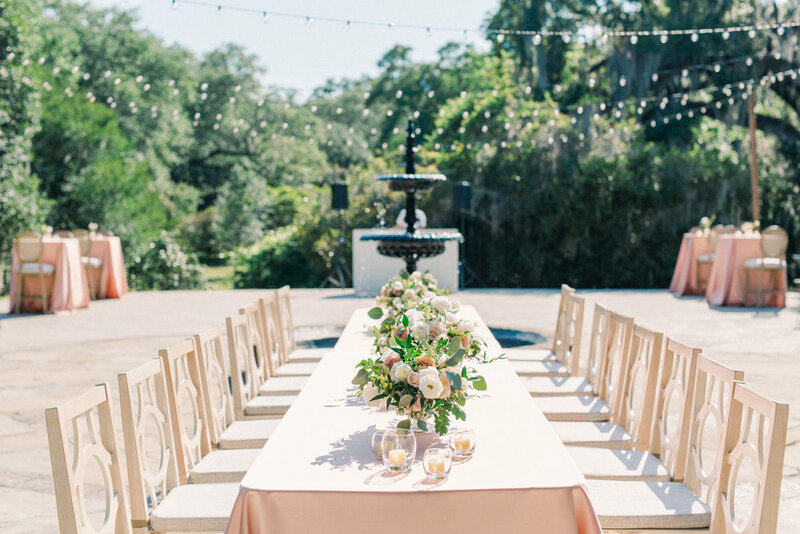 The reception consisted of calming hues of mauve, blush, champagne, white, and ivory. The couple wanted to show their northern friends and family hailing from New York and New Jersey true southern cuisine, and Mosaic didn’t disappoint with their shrimp and grits and other tasty bites! Rebecca + Aaron's wedding was a true testament to the fun, kind, and loving couple that they are.